Western Publishing published Tarzan in Dell Four Color Comics #134 & 161 in 1947. 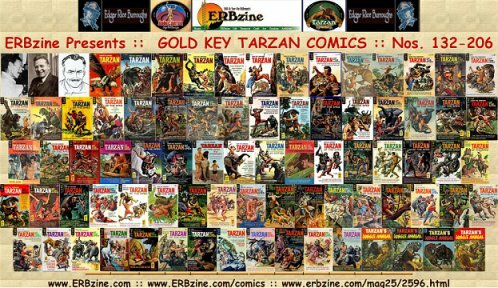 The Dell Tarzan series ran from issue number1: Jan-Feb 1948 through number 131 July-August 1962. 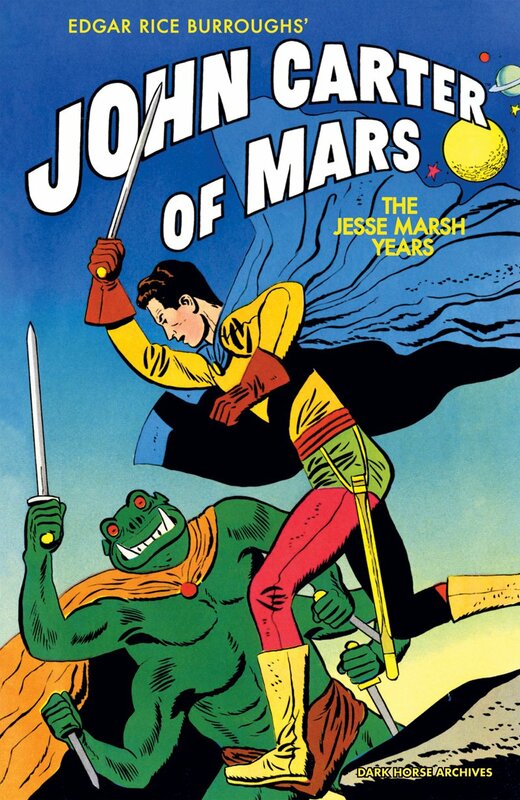 The artist for this series was Jesse Marsh with story lines by Gaylord Dubois. There were also a number of Dell Giants and March of Comics giveaways during this run. The series was resumed under the Gold Key label with issues 132 through 206 (November 1962 to February 1972). This series featured artwork by Jesse Marsh, Russ Manning, and Doug Wildey, and included adaptations of most of Edgar Rice Burroughs' original Tarzan books, as well as original stories and other features. 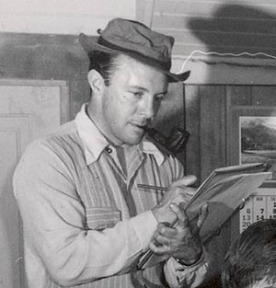 Almost all of the Dell Comics Tarzan stories were written by Gaylord DuBois. Most of the Tarzan comics featured the popular long-running serial, Brothers of the Spear, illustrated by Russ Manning. 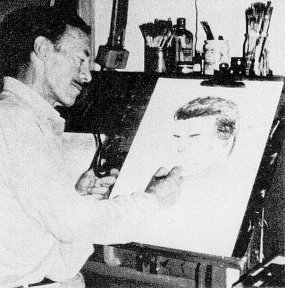 Jesse Marsh's fine sense of design and storytelling made the Tarzan comic book stand out in quality among all the others on the stands. In fifteen years, Jesse illustrated almost every Tarzan story in over 150 comic books. Now see the real thing in beautifully bound hardcover editions with restored art and colour. . .
Join Tarzan, Jane, Boy, and their animal companions as they encounter new friends, old enemies, and undiscovered lands in the wilds of Africa. In addition to stories featuring favorite recurring characters--such as the oddball scientist Dr. MacWhirtle, the lion--taming people of Cathne, cruel Queen La, and the Waziri warriors--Tarzan meets a group of Texan cowboys out to rope lions, a filmmaker documenting African wildlife, and the marsh--dwelling people of Lutor in this volume. Always a help to his friends, whether they're beast or human, Tarzan faithfully thwarts the plans of slavers, cannibals, and poachers who would do them harm!